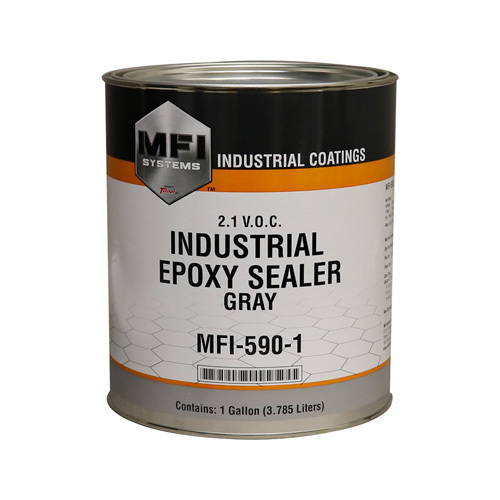 MFI Systems™ Industrial Epoxy Sealers are a two-component, 100% epoxy, industrial-grade sealer with good film build and exceptional anti-corrosion properties for DTM applications. It has excellent adhesion to properly sanded and cleaned bare metals, including aluminum. MFI-590/590B/590W levels to an almost texture-free surface with excellent gloss holdout. It can be sanded, when needed, and the three colors can be intermixed to achieve various shades of gray. MFI-590/590B/590W is V.O.C. compliant in North America and available in gallons. Use with MFI-592 Epoxy Sealer Activator.